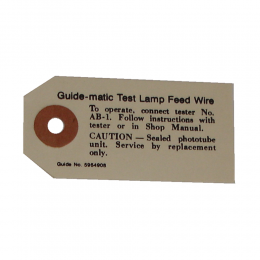 Guide-matic photo tube tag. Replaces original GM part #5954908. Top quality GM licensed reproduction. Sold individually. MADE IN THE USA.